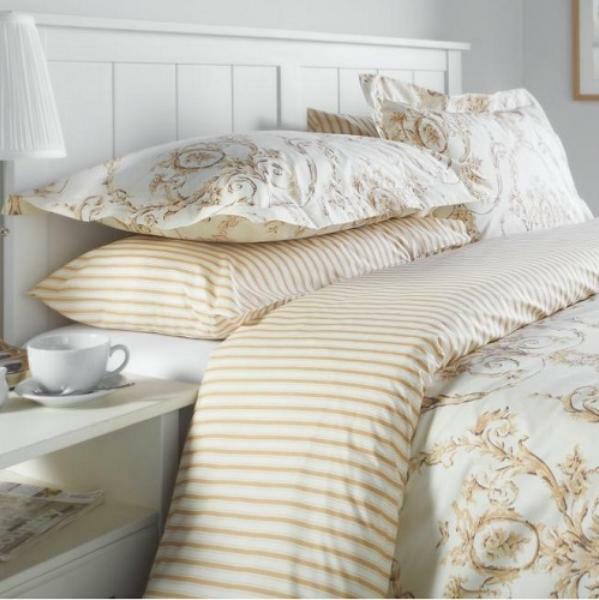 This classic Natural on white duvet cover has a delicately pretty toile de jouy design depicting floral patterns, and a classic natural stripe on white reverse, bringing a fresh yet traditional feel to your bedrooms. Beautifully constructed exclusively for Out of Eden in Portugal from 180 thread count 50/50 polycotton, the duvet covers are made with wide shoulders and as few metal poppers as possible, to make changing faster and easier. Very good quality and fast-drying plus easy to iron.